library. 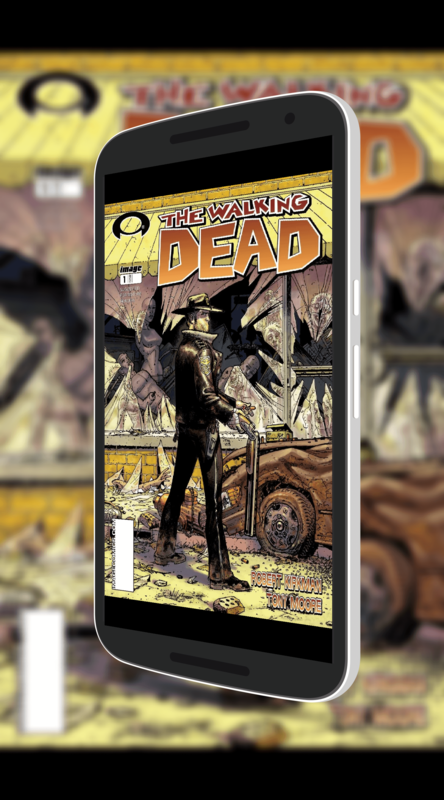 Not sure if you have all the issues in The Walking Dead (my current comic of choice)? Now you can see all of the ones in the series and make sure you indeed have all of them purchased for reading. The app also has improved navigation when moving from one issue to the next. Before, if I wanted to move from Issue #1 to Issue #2, I had to drop out of reading mode, go to my library, tap on Issue #2 and then start reading it. Not a real big pain but just more taps than I would prefer. Apparently Google agrees. Now when you reach the last page of the book you are reading you have the option to Jump to the next book in the series without having to drop out of reading mode. If you have purchased a compiled series of books from the Google Play Store (for example, The Game of Thrones 5-Book Box Set) then you will be familiar with this feature. When you reach the end of a book in a compiled series, you can just start reading the next one straight away. Google has brought this same feature to comic books. Finally, Google continues to have many comic and comic series on sale in the Store with a fairly good selection for free. If you are wanting to get started in a particular series, now is not a bad time to do it.